We're pretty sure that this is the lightest wheelchair available today. 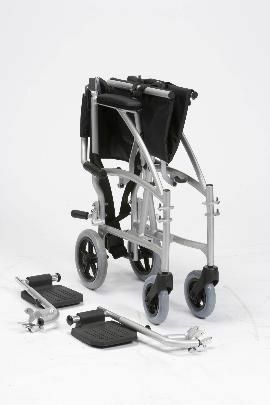 Lean design and a strong but very lightweight aluminium frame mean that this folding travel wheelchair isn't just light. 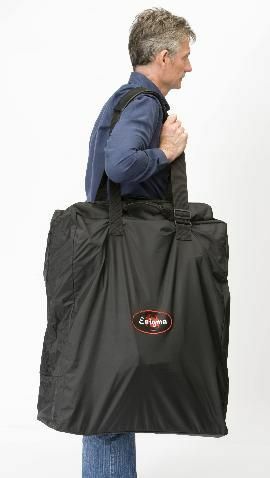 It's also sturdy enough to suit users up to 18 stone in weight, and folds down into a remarkably tidy little package. The total weight including footrests is an incredible 8.6kg or 19lb. 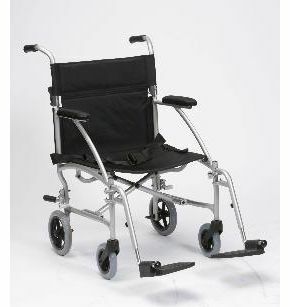 Take those off and you've got a wheelchair that weighs in at just 7.4kg or 16.3lb. However, it's not just about light weight. Like all good folding travel wheelchairs the footrests swing out, there is a good wide seat, and a padded back and armrests. For occasional use, a day out on level ground, or in a shopping centre, this one is a great choice. The storage bag is included in the purchase price. 18 stone maximum user weight.